It has been scientifically demonstrated that, regardless of whether we admit it or not, climate change is a global process, unfortunately continuous, a “threat multiplier” and “very likely” to be human-induced. Since 2008, an average of 21.5 million people have been displaced from their homes each year by rapid onset climate-related events. And the number of such events is going to increase in the future. The same empirical research shows that slow-onset events and environmental degradation also contribute to people’s decision to move. 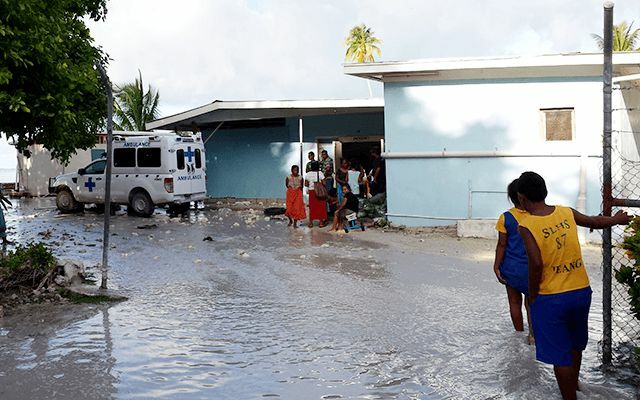 But recent failures to offer protection to people affected by climate change all over the world, including in the Pacific region show a regrettable lack of international legal safeguards (norms and language) when addressing climate change. Implicit in this is a lack of respect for the human rights of those seeking refuge, which policy and law makers can no longer afford. Supported by AXA Research Fund and United Nations University Institute for Environment and Human Security (UNU-EHS), my recent research focuses on the main two existing systems of law in the Pacific – the state or national legislation, and the Kastom law (the traditional, customary law). It analyses how the differences between the two could create legal risks when implementing international law associated with climate change, such as the 2015 Paris Agreement. While state or national law covers executive or legislative law, Kastom law governs local community law. It is also known as the law of clans, families or tribes, depending on the respective structures. Implementing international norms into the domestic law typically follows a top-bottom approach, emanating from the legislative or executive level to the community. The existence of a second system of law at local level could dramatically impact such an approach. Norms end up being interpreted through the filter of Kastom law. What people in communities understand about new laws could sometimes change completely the initial purpose or expected results of these laws. International regulations are not always welcomed by local people and this is a global issue. However, not all local communities own a system of law, which may interfere with the tubular top-bottom approach. In some parts of the Pacific for example, planting a tree could initiate immediate land ownership that sometimes is not reflected in the domestic land legislation. And definitely does not subscribe to any international norms regulating land management. My research is based on a human rights-based approach that emphasises a bottom-up standpoint. It embraces a progressive interpretation of law that underlines a need for flexibility, openness and concrete applicability of the law when it comes to supporting and implementing climate science. Law in general, should be regarded as a supportive concept rather than a restrictive (sometimes oppressive) state-led process. My project will conclude in 2018 with a second segment of field research, when final data will be processed and conclusions published and disseminated. So far, there are indications of discrepancies between the two systems of law that affect both legislators and communities. And it seems that structural domestic legal reforms may be necessary to address these inconsistencies. The methodology used in this project is called hybrid international law. 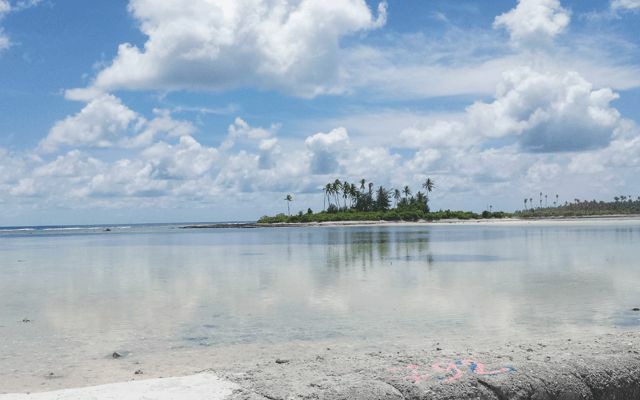 It was elaborated in 2007 as a requisite for interpreting the relationship between climate change and customary law in the Pacific, which is sometimes only spoken, and hard to mark or analyse. Hybrid law refers to three branches of international law – environmental law, human rights and refugee or migration law. It shows an indubitable interrelation between these three branches and that climate change cannot be addressed without referring to human rights or migration – as direct or subsidiary effects. It’s also incomplete to analyse human rights without considering climate change or look at human mobility without considering climate triggers as one of the main factors of causality. Migrants, displaced or relocated people – both internally and cross-border – have human rights and states should not implement or abandon policies to prevent them from safe passage and legal access to protection. Under international human rights law and customary international law, states have an obligation to respect the rights of migrants or refugees, to treat them with dignity and respect, and to protect against their return if they face the risk of having their human rights violated. While international refugee law does not refer to environmental threats as factors of persecution or conflict, this doesn’t exonerate states of their obligations to address the needs of people seeking protection from climate change. Preliminary findings of my research show that the preeminent approach to address human mobility in the context of climate change is at the regional level. This is particularly the case for the Pacific, where some regional approaches have recently proved their strength. A potential regional framework on human mobility and climate change, which would consider both regular and customary law, would address migrants’ rights, fill in the gaps at the international level and help the individual incapacity of states in addressing this complex process at the national level. It’s clear that, at the international level, the process of agreeing on a global framework for dealing with climate mobility could be long and not necessarily oriented towards migrants’ needs. It takes political will, and that sometimes does not serve the main recipient countries. But more importantly, it takes time, and time is something vulnerable people affected by climate change, who are willing to move but can’t, do not have. At the domestic level, most states where migration or displacement occur lack financial and human resources and face limitations to tackle the matter alone. During a Regional Meeting on Climate Change and Migration in the Pacific organised by the Pacific Islands Forum Secretariat (PIFS) and the United Nations Economic and Social Commission for Asia and the Pacific (UN-ESCAP) in early December, senior Pacific island government officials pushed the need for finding immediate solutions to address the needs of people on the move by creating a legal regional framework. The ten Pacific country representatives who participated in the meeting aimed to create internal guidelines to address human mobility, while respecting the sovereignty of states in taking decisions internally. They are also looking into creating a potentially binding document to regulate cross-border human mobility with an emphasis on sharing experiences, mutual respect and cultural identity. Efforts will continue in 2017 – on both the technical and political levels – to accelerate this unprecedented regional initiative to address human mobility and climate change. Once again, the Pacific is on the front line.